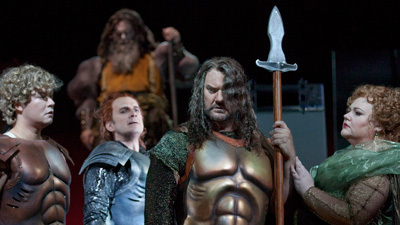 The beginning of Das Rheingold takes the listener right into the mystical atmosphere of the Ring cycle. Out of the darkness, from the depths of the River Rhine, come the mysterious notes that signal the birth of life itself. Soon we’re in the middle of a rousing tale of ambition, greed, promises made and broken, of gods, dwarfs, and giants. They all desire one thing—the magical Rhine gold that bestows unlimited power over the world. 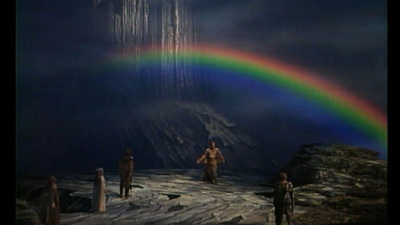 Hermann Uhde is Wotan, lord of the gods, Ramon Vinay sings his cunning advisor Loge, and the young James McCracken, before his days as a dramatic tenor, shines as the god Froh.